With knitwear for the whole family, designer Melissa Schaschwary creates from the heart and designs with versatility and practicality in mind. I first began knitting when my husband’s job relocated our family to Wisconsin from Illinois. We moved to a place where we had no friends or family and I was looking for a new hobby to keep me busy. I have always enjoyed drawing and painting, but thought knitting might be a new way to express myself artistically. I loved the idea of combining colors and textures into wearable, self expression. My sister taught me the knit stitch on our vacation that summer and when I got home from the trip, I went to my local yarn store and got my own set of needles and yarn. I’ve been knitting ever since. On your blog, you mention that all of your designs are inspired by romance, art, literature, and music. How do you go about incorporating elements of these into each design that you create? Yes this is correct! Almost all of my designs begin in my head with what I envision the styled photograph of the finished piece to look like, and the feeling I want the knit and photo to ultimately project. The photos and knits are often based on things like books I’ve read, paintings I have seen…even movies that I have watched. I try to capture the emotion that those sources of inspiration have brought out in me and channel that same feeling into the knit. One example of this would be my caplet, Selkie. I had recently watched (and loved) the romantic movie Ondine. One of the main characters in the film is suspected of being a selkie. I loved the idea of shedding a magical coat (or putting on a coat that makes you feel magical). When I searched for yarn for the project I looked for a colorway and base that would feel very “seal like”. When it came time to photograph, I looked through paintings my one of my favorite artists, John William Waterhouse. His artwork has been hugely inspiring to me since I was 12 years old and found his painting “A Mermaid” used as an illustration in a book. It’s full of drama and romance. I have a few of his prints in my home. My designs are rarely born from a technical place; they always start from the feeling and emotion I hope they will radiate in the end. What was the first project you ever designed, your favorite project, and your most popular project? I have gone through a lot of trial and error with designing, there is so much to learn and I am always learning and learning some more. I don’t know that I have a “favorite project”. I feel like all of the projects I’ve chosen to knit, whether of my own design or someone else’s, are indicators in some way or an other of where I was a that particular point in time….new knitter projects, pregnancy projects, baby projects, trying out my design wings projects….you get the point. All of the things I have knit are a part of who I’ve been and who I am. Right now, I’m working on a big, bulky cardigan for myself. It’s a raglan sleeve, something I’m very comfortable with, so that makes it a great “comfort knit”. We’ve just started up the new homeschool year and that means that this girl needs some comfort knitting at the end of the day. Any knit that soothes me and that I love to look at time and time again is my Ultimate Project. As mentioned above, I have a new bulky weight cardigan in the works. Think texture, pockets and a few construction details that I’m hoping work out the way I have them planned (fingers crossed) to take cozy to the next level. it gets cold here during the Wisconsin winters, I’m looking forward to living in this one. Thanks, Melissa – your designs are truly inspired and we all love knitting them here at LoveKnitting HQ. Feeling inspired by Melissa’s patterns? Click the image below to view all her amazing patterns! Thirsting for more inspiration? 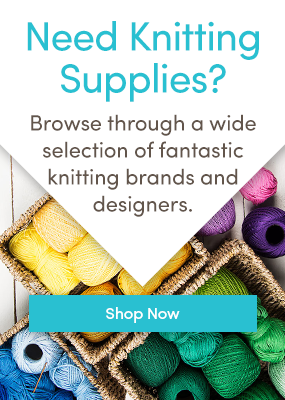 Follow LoveKnitting on Bloglovin’ and never miss a post! Last updated: September 25th, 2015. I am looking for knitting patterns for tunic tops. Can you help me please? Child Sweater with Cables and Rib sleeve knitting pattern by OGE Knitwear. Available in sizes 0-6 months – 4-5 years -LoveKnitting.